100% Plastic playing cards made in Italy by Modiano. 4 corner jumbo index for clear card recognition. High definition print with Brown patterned back. Pack contains 52 Poker Sized Playing Cards & 3 Jokers. Pack comes cello-wrapped in a full colour box. Plastic Playing Card Thickness: 0.31mm. 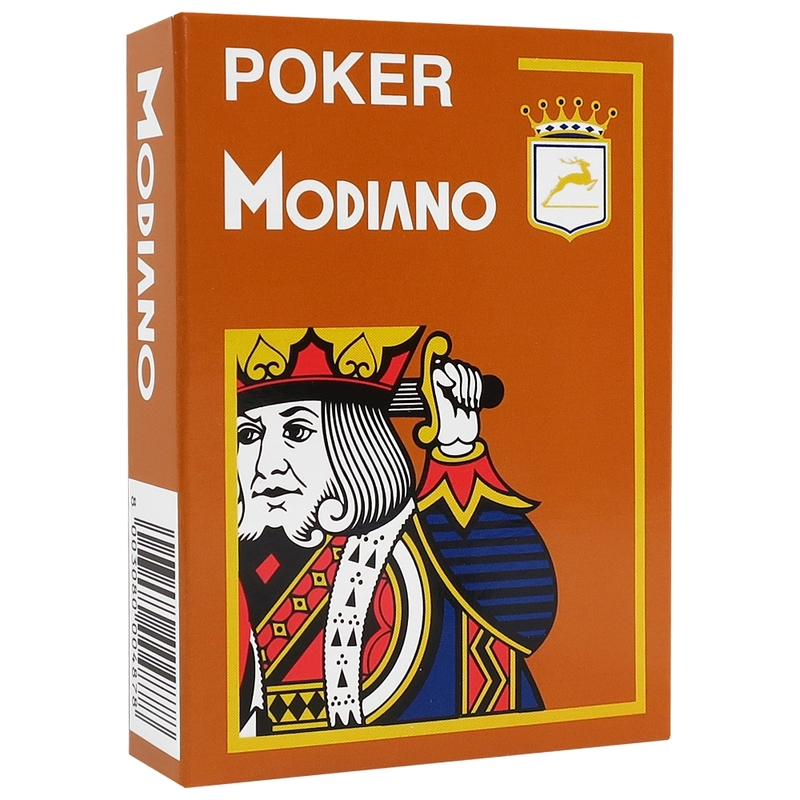 These Modiano Poker 100% plastic poker cards have a 4 corner jumbo index for clear card recognition and symmetrical patterned back. This Modiano Poker Sized 100% Plastic Playing Card pack comes with a Brown patterned back, 52 Playing Cards and 3 Jokers, its cello-wrapped and packed in a protective coloured box.